What just happened? The Stratolaunch is 385 ft (117m) wide, 238 ft (73m) long and 50 ft (15m) tall. It weighs 500,000 pounds (250 tons) empty, but full of fuel and with a rocket payload, it can weigh as much as 1,300,000 pounds (650 tons). There’s great demand for a way to launch rockets more cheaply and from more locations, and gigantic aircraft are reusable (unlike many rockets), can take off from most large airports and their flights are less weather dependent. Stratolaunch was formerly partnered with SpaceX, but the latter ended that partnership to focus on launching their reusable rockets. 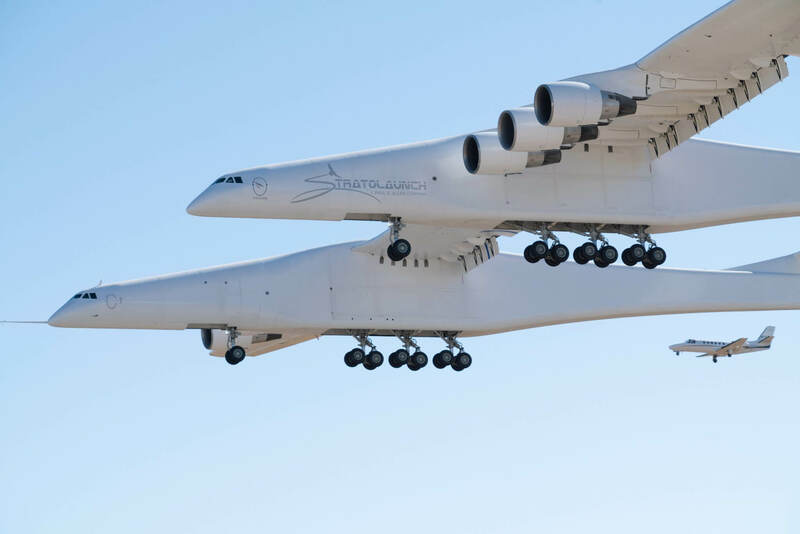 Stratolaunch has now made a deal with Northrop Grumman to launch their Pegasus rockets, the first privately developed rocket and the first to use an aircraft to launch it. While the flight was a proud moment for Stratolaunch, it was bittersweet for the many engineers that wished Microsoft and Stratolaunch founder Paul Allen could have celebrated the success. "Even though he wasn't there today, as the plane lifted gracefully from the runway, I did whisper a 'thank you' to Paul for allowing me to be a part of this remarkable achievement," Floyd said. While the flight was a success in every measure, there’s still a long road ahead. When asked, Stratolaunch employees couldn’t pin down a schedule for future flights and couldn’t guess when the first commercial operation might take place.